In a mobile-first cloud first world the need of accessing corporate resources on unmanaged devices is rising. This is the cutting edge of managing your corporate data (keeping it safe) and give your users the freedom to be productive on any device. With Conditional Access we can control access to corporate data (such as Exchange Online, SharePoint Online, Yammer, Delve, Teams, etc.) based on a device (health) status such as being managed or complaint. These scenarios (conditions) are based on devices being managed by your company (MDM managed). With the introduction of Session Controls, organizations are enabled to grant limited access to corporate resources without losing control on unmanaged devices. One of the main benefits of the Microsoft Partner program are the IUR, which allows you to use Microsoft products in your own organization for free based on your partner competence levels. This applies to traditional software, software keys and Microsoft Online Services. With IUR Microsoft Partners are able increase productivity, business value, and savings with your internal-use rights (IUR) benefits. The Enterprise Mobility + Security E3 had been available for some quite long time however the E5 was missing here, the more we’ve an imported role as partner to enable our customers with the latest Microsoft technology. More information regarding Internal Use Rights can be found here. New features like Azure AD Identity Protection & Azure AD Privileged Identity Management forms important (security) components in a more than ever emerging Enterprise Mobility + Security E5 proposition. Click here to unlock your IUR benefits today! 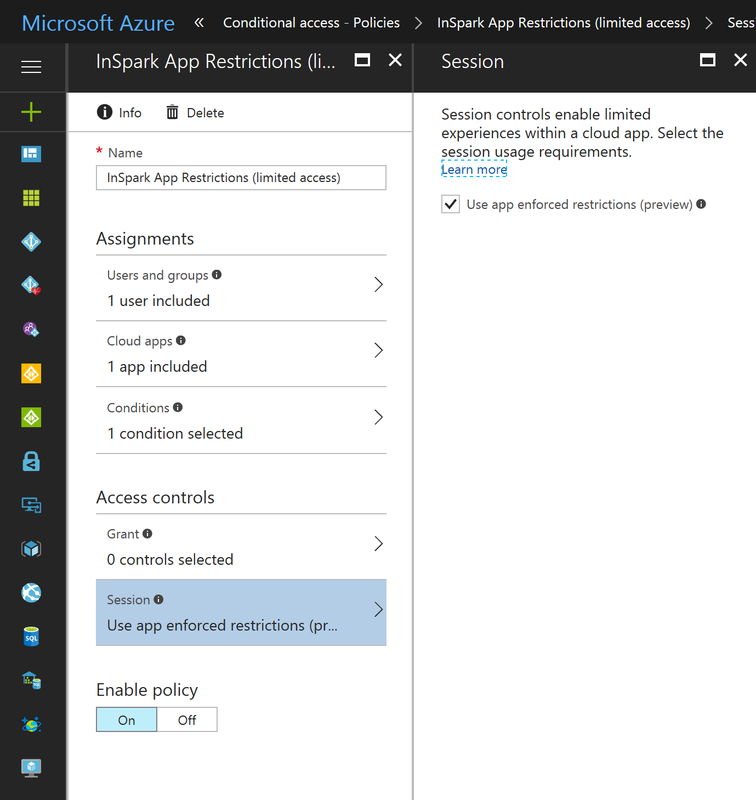 In a diptych I’m sharing my experiences, common practices and challenges of implementing Microsoft Intune PFX connector as certificate deployment mechanism in the enterprise. In my first blog post I covered the basics of implementing a certificate deployment infrastructure based on Microsoft Intune PFX connector. Explained the differences and considerations whether to choose SCEP or PFX as your certificate deployment solution. And explained the certificate issuing workflow. In this second post I’ll go in more detail of the anatomy of the Intune Certificate Connector, setup. Explaining the renewal and revocation process(flow) works. And lastly I give you some pointers where to start your journey, in case of troubleshooting certificate deployment issues. One license solution rule them all: Azure AD Group Based Licensing! A long awaited feature became this week available in the new Azure portal: Azure AD Group Based licensing. With this we have an one-stop-shop to assign licenses on a per user- or group based. Last year I had the change to implement PFX certificate infrastructure for a large enterprise customer. Occasion of the project was a migration of Citrix XenMobile (XDM) to Microsoft Intune as strategic mobile device- and application management solution. Microsoft Intune PFX connector certificate deployment architecture. In a series of blogposts I’m sharing my experiences, design decisions, common practices and challenges of implementing Microsoft Intune PFX connector as certificate deployment mechanism in an enterprise environment. Important! Updated Microsoft Intune Company Portal app for iOS supports only iOS 8.0 or higher. In case you missed it, Microsoft recently announced the Microsoft Intune Company Portal app for iOS will be updated. Why this might be important to you? Undoubtedly you ever been asked the question to customize the Windows 10 start menu? Your response might be like “Sure, I’ll fix this by group policy, imaging (task sequence) or last resort by manually importing a .xml file.” All – almost all – valid options in a fully managed environment where your clients are domain joined (Active Directory) and/or fully managed by Configuration Manager or MDT. But hey what about your non-domain joined Windows 10 devices which are outside the company and managed by Microsoft Intune (MDM)? Well OMA-URI is your best friend! In Windows 10 Enterprise and Windows 10 Education, you can use a mobile device management (MDM) policy to deploy a customized Start layout to users. No reimaging is required, and the Start layout can be updated simply by overwriting the .xml file that contains the layout. This enables you to customize Start layouts for different departments or organizations, with minimal management overhead. With Microsoft Intune (MDM), you define the Start layout using an OMA-URI setting, which is based on the Policy configuration service provider (CSP).